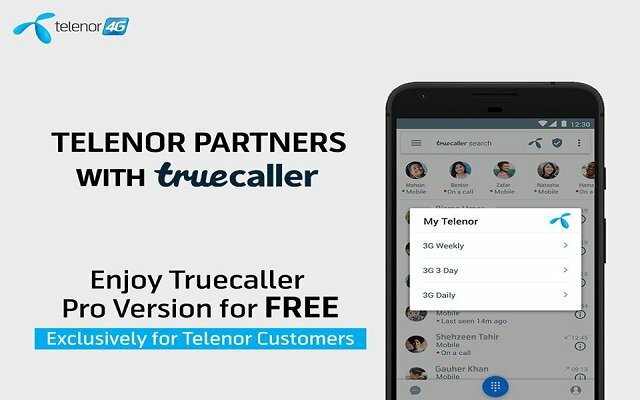 Telenor Pakistan is enhancing the scope of its services portfolio by roping in Swedish technology company Truecaller to provide Telenor users a customized, pro version of the Truecaller application. The app will improve calling experience of Telenor users by helping them restrict spam calls and messages. Telenor Pakistan Collaborates with Truecaller to Bring Smart Calling Experience to Customers. Every user will be able to generate up to 30 invitations to friends and family who are yet to try the application. Furthermore, the users can download Truecaller and receive a unique app version with integrated Telenor Menu allowing activation of Data plans (daily and weekly packages) directly from the phone. Existing Truecaller users can upgrade to the new version directly from within the application. Nami Zarringhalam, Co-founder & CSO, Truecaller said: “We are proud to have partnered with an industry leader like Telenor Pakistan to help people make their communication safer and more efficient,” said . “The partnership shows that we are solving a big problem and we are pleased to work together with Telenor to bring a smarter communication experience for their users."